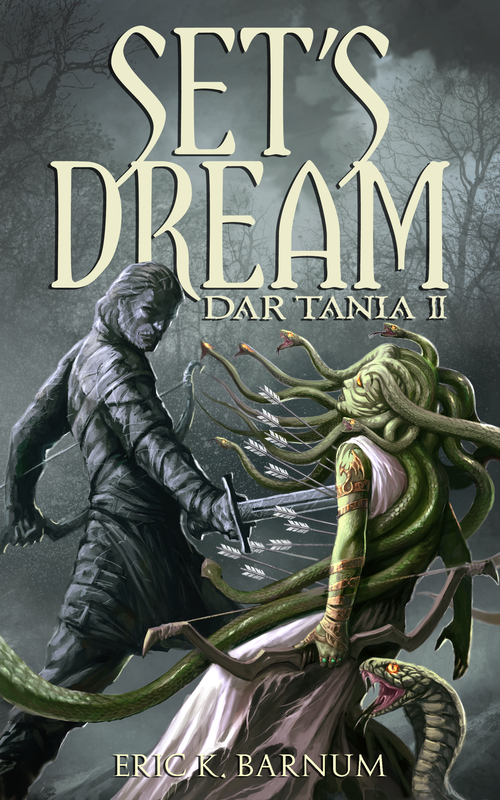 Update: Dar Tania 2: Set’s Dream will be free on kindle tomorrow through Sunday! Hey there folks. This has been a tremendous year for fantasy, and we’re very proud of the other authors we’ve had the opportunity to write alongside. With so many stories in front of us, I’m glad that Tellest has been able to highlight a few of the ones that rise to the top. One of those stories that we were able to bring to your attention was Eric K. Barnum’s Dar Tania, a tale that had a deeper, more philosophical and religious bent than you’re used to seeing in modern fantasy, but that was explored without being overly preachy and build Morbatten and the Forsaken Isles in an awesome way. Well, Barnum is back, and he’s ready to rumble. Dar Tania 2: Set’s Dream is a different kind of tale. It takes place five years following the events of Dar Tania, and the high priestess of Tiamat isn’t the central character in this piece. While she still is present—as the title should indicate—the real focus is on the ranger, Bruce, and his peculiar companion, a medusa named Syliri. It’s rare to see such a character get such high billing, and it makes the story that much more interesting to breeze through. There are a few other characters that join the ranks as well, and they’re all as entertaining as the last. An immortal medusa falls in love with a human ranger on the cusp of Morbatten becoming an actual empire. Part of Dar Tania’s dream is that a mighty empire of human races and their allies shall fill the valleys of Morbatten. Priestesses and the paladins serving them will rise up under war banners and march with the heavy tread of battle for Tiamat’s glory. For five years, Syliri and Bruce have been exploring the area the dragons consider to be part of Morbatten. More interesting monsters are petrified and brought back for Dar Tania and her fighters to study. During another routine scouting mission, they find a death cult of hill giants and goblins extracting gold from the eastern mountains. The true nature of their enemy rears its demonic head. But, will the true nature of medusa or the true nature of humankind shine brightest in the trials that lie ahead? Join Syliri and the love of her life, Bruce, as they confront the power of this dark nightmare. With her petrifying gaze and his mastery of the bow and sword, they begin to unravel a creature of such dark purpose that even the god emperor himself gives pause. Set’s Dream is a worthy successor to Dar Tania. It isn’t quite the same as the book that preceded it, but it also doesn’t try to be. What you’re left with is an entertaining, satisfying story that has more traditional twists and turns. Barnum excels at breathing life into his world, and his characters, given more room to develop, will garner your attention, if not your affection. 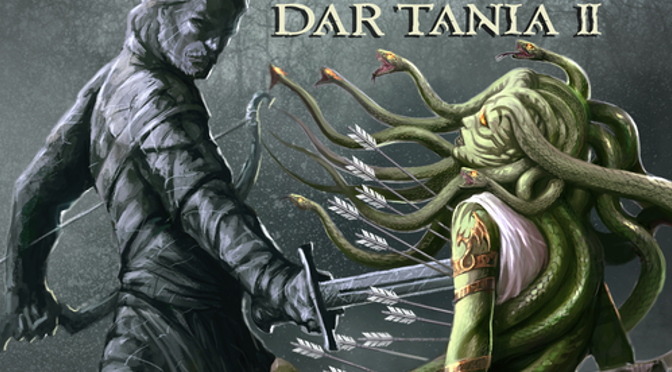 If Dar Tania was the hook that was trying to get you into the boat, this tale is the boat you want to get into. Barnum currently has four books out, with more on the way. Be sure to check out Dar Tania, which sets the stage for the world of the Forsaken Isles, and do check out Dar Tania 2: Set’s Dream on Amazon today!